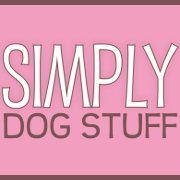 http://www.simplydogstuff.com is very pleased to announce the launch of their online pet boutique providing a great selection of high quality Pet Supplies for the most discriminating dog owner and their pets as well as providing personalized service. SimplyDogStuff.com carries everything a dog could want including cushy, novelty and designer Dog Beds for relaxation, Dog Beds and Throws made of Crypton Super Fabric, a great stain, odor and moisture-resistant fabric; Toys of all types for playtime; and a terrific selection of Dog Collars, Harnesses, and Leashes for those long walks. They have a wide selection of Dog Crates, Totes, and Carriers, and a nice variety of Dog Gates, for pet safety. This online boutique carries a terrific collection of Dog Clothing for any occasion, including Dog Coats, Hoodies, Dresses and Accessories. They have Dog Food and Water Bowls of many styles, as well as Dog Treats. They have gifts for Dog Lovers, as well as many other items available. The stated goal of this boutique is to keep dogs happy, healthy, and comfortable while providing personalized service to their owners, so if there is anything a dog needs that can’t be found at SimplyDogStuff.com, they may be contacted by email and every attempt will be made to accommodate requests. New products are being added to the site all the time. Through the end of August in celebration of the grand launch of their new boutique, SimplyDogStuff will be offering a 10% discount on all orders. Just remember to enter “grandopening10” in coupon code at checkout to obtain the discount. Along with the 10% discount they are offering flat rate shipping of $5.95 per order.